The recent death of Apple co-founder and former CEO Steve Jobs generated a huge amount of press coverage, much of it very bad. In particular, my sampling of this coverage made it obvious that many, if not most, of the people charged with writing about computers, technology, and their associated industries, have not a clue about the history of personal computers. At every turn, people got it wrong. Jobs's (many) contributions to the computer industry were misstated, distorted, or exaggerated. Perhaps most egregiously, a post on a major newspaper's site credited Jobs with "inventing the personal computer," a statement so wrong, and so wrongheaded, on so many levels that my brain hurts just trying to count them all. It's not surprising, really. Most of this stuff happened before many of these journalists were born. Many of them can't even remember a time when personal computers didn't come down to the "Macintosh and everybody else who runs windows, except a few hippies and nerds who run Linux." 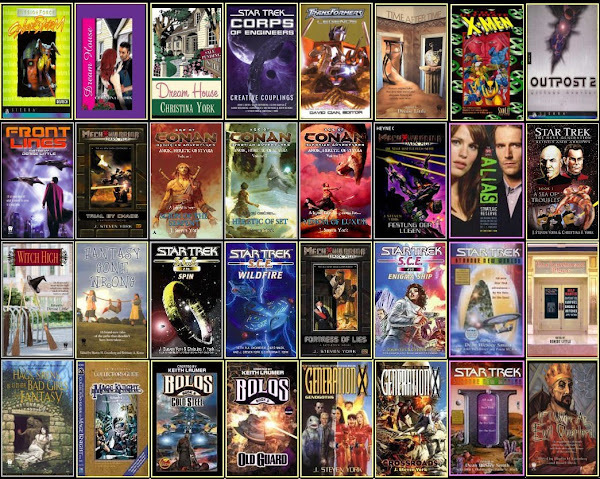 I on the other hand am a bit older, and was there pretty much at the beginning of it, as a hobbyist, salesperson, and later, as a writer for computer magazines (and computer software companies). Fact is, Apple had a lot of history before the Macintosh came along, and the Macintosh, as influential as it was, was for most of its history a niche product that never came close to dominating the personal computer business. And that business existed before Apple did. Apple was an early player in the personal computer, but was a late bloomer that again, despite its niche success, was usually overshadowed by one competitor or another, several of which will probably surprise you. Time's up! Keyboards down everyone! No? Not ringing any bells? Only ringing a few bells? Well, then perhaps your understanding of the history of the North American computer business isn't as complete as you think it is. A lot more could be written about these computers, their history, and significance, but here's a quick rundown. 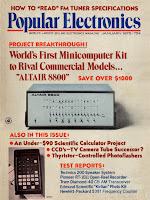 The Altair was the first widely-known (it grained fame through hobby magazines like Popular Electronics) and available (it was sold by mail-order) commercial microcomputer. It's pretty much the spark that ignited the whole personal computer revolution. The maker expected to sell a few hundred, but soon had thousands of orders. 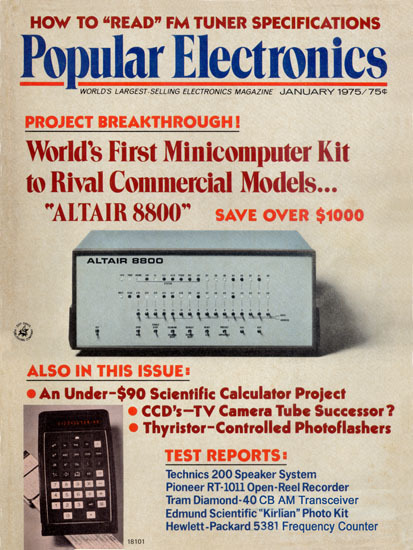 The Altair was also the subject of the first computer "clone," the copy-cat IMSAI 8080. 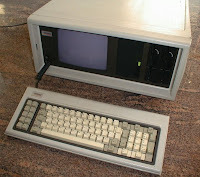 Among its many contributions to computing, the Altair also introduced the S-100 buss, a standard system by which accessory cards and peripherals could be used interchangeably between various makes and types of computers. It's also significant as the hardware on which the very first Microsoft product ran, a version of the BASIC computer programming language written by Microsoft founders Bill Gates and Paul Allen. Radio Shack is best known today, if it's known at all, as that place in the strip-mall where you buy obscure cords,adapters and accessories for your electronic devices. And so it's hard to imagine that Radio Shack was once not only a major player in the personal computer business, but for a brief period actually dominated it, especially the business part of the market. In the mid-1970s, Radio Shack was already a hang-out for electronic hobbyists, ham radio operators, and home-audio geeks, and was riding high on the popularity of the CB-radio craze, when they made the bold decision to go into the then brand-new microcomputer business. Now, three major players entered the market in 1977, all significant in their way: Apple, with its Apple II (yes, there was an Apple 1, a kit computer, but few were made, and it's a bit of a footnote), Commodore, then a major maker of pocket calculators with its PET Computer, and Radio Shack with it's Model 1 (then known simply as the "TRS-80," the other designation only being added when additional models were added to the line a bit later). But the huge advantage Radio Shack had over its competitors was in its retail outlets. While the number of dedicated computer stores in the country was probably no more than a few dozen, there were thousands of Radio Shack stores spread through America's heartland and small towns. And every single one of those stores was shipped a single TRS-80 computer. Again, the level of interest and demand was underestimated. 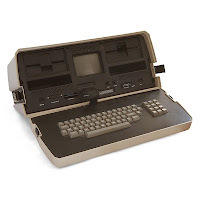 While personal computers had been around for two years at this point, the TRS-80 was the first personal computer most Americans would ever see, much less touch or use. Radio Shack was a known and trusted name at this point, and walking into an established store and buying a computer in a box was much less a leap than going to a fly-by-night computer store in a major city, or ordering some unknown quantity by mail. Moreover, the TRS-80 entry model was under $500, monitor included. Still a lot of money in those days, but far less than the $1298 entry Apple II (with no monitor). Radio Shack's dominance of the market wouldn't last long. Commodore would soon dominate the home computer market, and Apple would finally take off as a business computer (largely because it ran the first, and for a while only, spreadsheet program, VisiCalc. Shortly thereafter, IBM would crush everyone in the business side of things, and break Radio Shack's back in the computer business. Apple would soldier on in the educational and high-end home market, and eventually make a slow comeback with the Macintosh, but Radio Shack never recovered. Still, in bringing the computer to Main Street, Radio Shack make everything that followed possible. Innovative and forward-thinking, a few of the Model 100's specifications remain impressive even today (especially battery life). It was rugged, capable, weighed just over three pounds, came equipped with an LCD screen, a variety of build in software (including communication, basic word-processing, and spreadsheet), a decent keyboard, instant-on, and equipped with a modem for long-distance communication. It was capable of running 20 hours (and holding its memory contents for up to 30 days) on a set of four standard AA batteries, It became especially popular with journalists, scientists, engineers and others who not only needed a computer that could be used in the field, but sometimes beyond the reach of civilization. 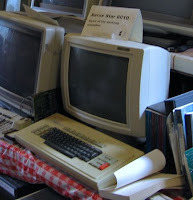 Actually, the computer hardware was designed by Japanese company Kyocera, and Microsoft (the software), and other versions were sold under the Kyocera, NEC, and Olivetti brands, but it was Radio Shack and its retail presence that ushered the machine to success. Microsoft founder Bill Gates has said it was the last Microsoft product in which he did significant programming, and one of his favorites. Interestingly, it's probably (certainly one of the first) the first successful consumer computer to use the now almost universal "cut" and "paste" metaphor. It's easy to overlook the Commodore 64. At the time, many computer enthusiasts (myself included) dismissed it as a "toy computer," and it mainly found its place in homes, not in offices or labs. But it was a powerful computer for the time, with more memory than many of its competitors (especially when compared with their base models) and built around an improved version of the processor used in the better-respected Apple II family. The Commodore was produced continuously for over a decade, and has been produced in some form as recently as 2004. 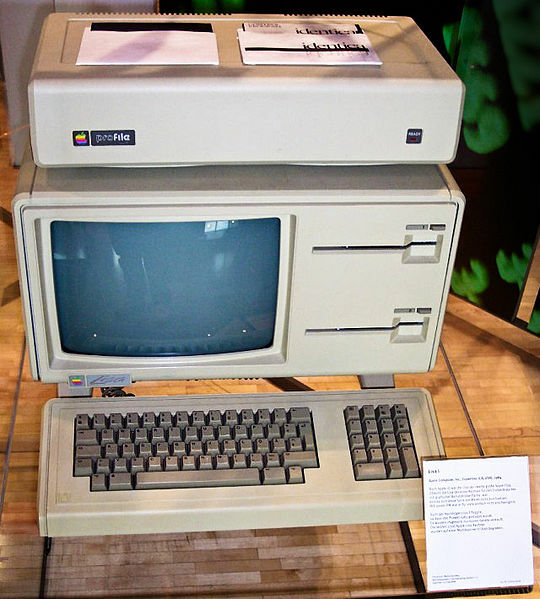 Over its lifetime, somewhere at least 12.5 million units (there are questionable claims in excess of 22 million) were sold, and it is probably still the best-selling single computer model of all time. Through several years of the middle 80s, the C64 dominated computer sales numbers. In 1983, in terms of unit sales, it had over 40% of the computer market (by comparison, the Apple II never exceeded about 16% of the market). Moreover, it held more than a quarter of the computer market for four years running, and kept a double-digit share of the market for a fifth year. For a generation of aspiring programmers, scientists, engineers, hackers and game designers, "computer" meant "Commodore 64." So why no respect? 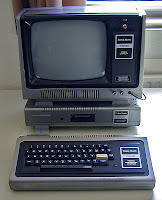 In an era when computers were still primarily sold in specialty and electronics stores, the Commodore was a mass-market computer, sold in discount and department stores, often at discounted prices. In 1983 Commodore introduced a $100 "trade-in rebate" that was sensationally successful, and resulted in a huge shake-out in both the computer and video-game business, driving out or bankrupting several companies. And history is written by the victors. While Commodore dwarfed Apple sales for much of its existence as a computer company, it was dealt a huge blow by the standardization around the IBM PC platform, and was ultimately killed by the market failure of its very-capable Macintosh competitor, the Commodore Amiga. Everything about early computers was big. Big disk drives, big boards with huge numbers of parts, big monitors with big glass picture-tubes, and big power-supplies to drive it all. As a result, the last thing you'd called a computer in those days was mobile. The Osborne 1 changed all that. 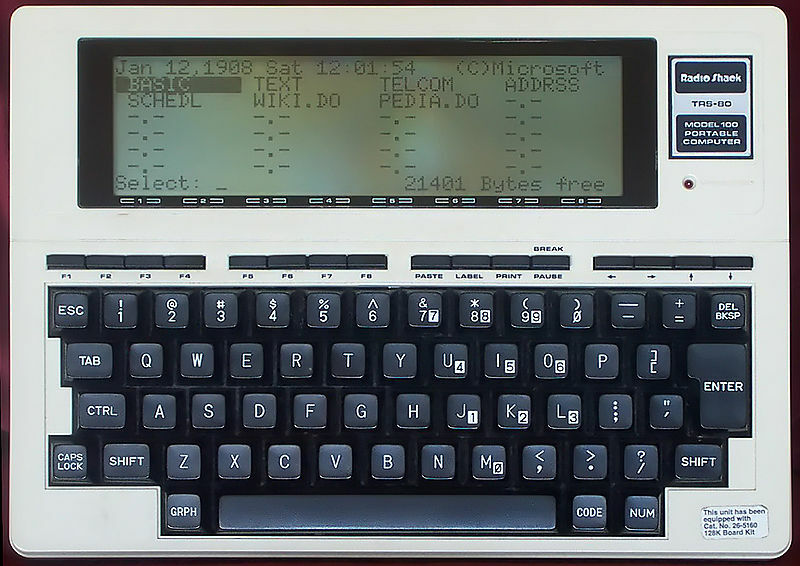 The Osborne was the first commercially successful portable computer. It wasn't a laptop, or anything remotely like one. It weighed 24 pounds! The category it created was popularly known as the "luggable." The Osborne resembled a small suitcase, or a portable sewing machine. One end of the case unlatched to reveal two floppy disk drives and a grand 5-inch CRT screen! The lid of the case contained the keyboard. By modern standards it was huge. It was ugly, the screen was a joke, but it was portable, and that was a breakthrough. The Osborne also broke ground in one other important area: it was the first computer to come with "bundled" software. At the time, most computers shipped with no software at all. Even the operating system was extra. 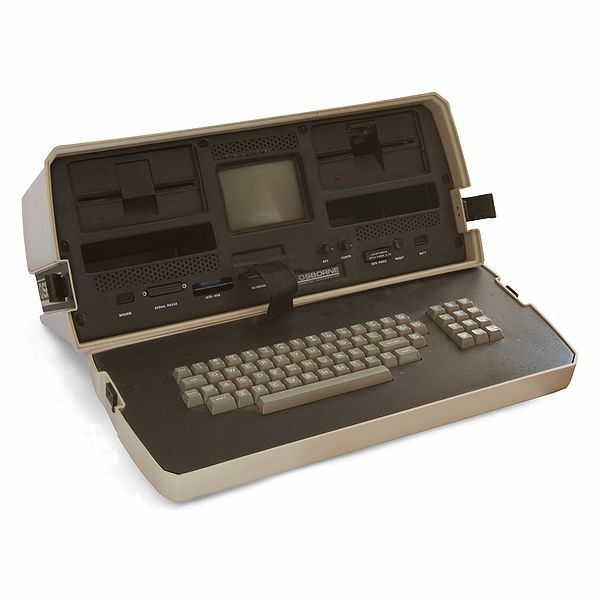 The Osborne came with the popular CP/M operating system, the business-standard WordStar word processor, and at various times in its run, accounting software, database, spreadsheet, and even games. The bundle of software was worth almost as much as the machine's $1795 price. Despite its initial success, Osborne sales plummeted when they prematurely announced an improved model, which allowed more capable competitors to move into the "luggables" market. But the practice of bundling software with computers continues to this day. Speaking of "luggables," the Compaq portable was another example of the class. It was even more expensive ($3590) and heavier (28 pounds), ut it was one with an important difference; one that would change the history of the computer business. 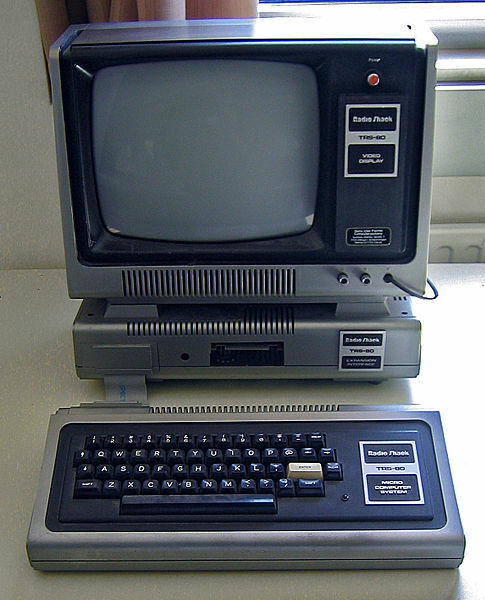 In 1981 IBM legitimized the personal computer with the introduction of the IBM PC. The PC was an expensive, and in many ways unremarkable (other than its 16 bit microprocessor) computer, but the IBM name suddenly made it conceivable for businesses, especially in the Fortune 500, to buy computers. It seemed inevitable the IBM would rule the high-end computer business for the foreseeable future. But IBM made two critical mistakes. They built it from off-the-shelf parts, and they licensed their operating system from Microsoft and failed to secure exclusive rights to it. 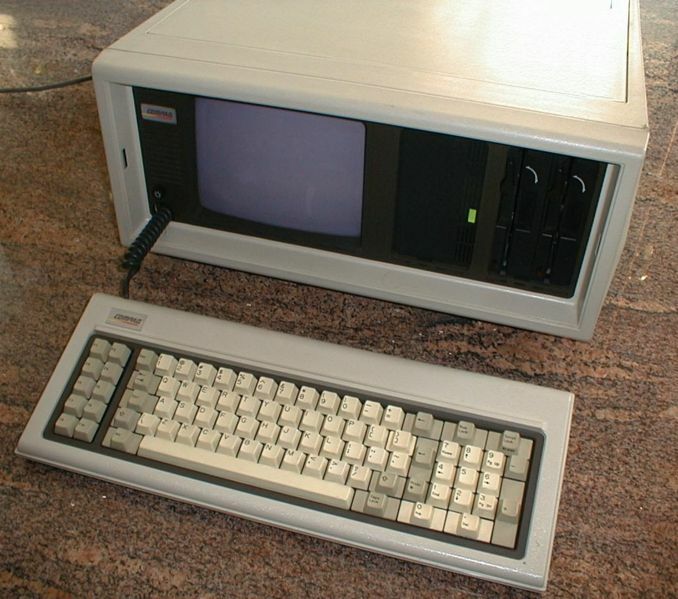 The Compaq portable may not have been the first cloned computer, but it was the one that broke IBM's potential monopoly on the business market. Even more brilliant, they put it in a luggable package, something that IBM didn't offer. 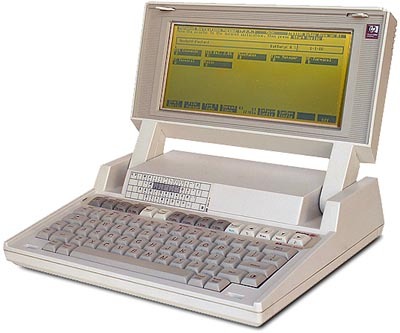 All those offices that were finding their new IBM PCs indispensable, also needed a Compaq Portable for road trips. Their foot in the door, Compaq moved into the desktop market, and dozens of clone-building competitors followed. A diversified future for personal computers was assured. Of all the computers on this list, the HP 110's place in history is perhaps the most questionable, thus the other computers I'm listing above. All of them proceeded the 110 to the marketplace by at least a bit, and all had some version of the now-familiar "clamshell" laptop design, but the bunch, only the Sharp of them ran Microsoft's MS-DOS operating system. And it deviated from being a modern laptop in many ways. Its 8 line screen was too small to function as even a marginally useful MS-DOS computer, it had a built in printer, and used the interesting, but ultimately dead-end, technology of bubble memory. The HP 110 put all the pieces together in a portable, battery-powered package. The initial model had drawbacks. It had a non-standard screen that displayed only 16 lines instead of the IBM norm of 24 (big enough to be useful, but a drawback until replaced in a later upgrade), the disk-drive was an external accessory, and the printer port used a non-standard proprietary interface. But I admit to being biased on this one. I tested a prototype (when it was still using its internal code-name of "Nomad") for a computer magazine, and I'll never forget the feeling of wonder when I was able to pop this thing open and use it while riding a Seattle city bus. It was life-changing, and the birth of the modern laptop did change the way we looked at computers forever. One of the major things Steve Jobs was falsely credited with inventing is the GUI, the Graphical User Interface seen on pretty much all modern computers, be it in the form of the Macintosh Operating system, Linux shells, or Windows (and in a modified form, in mobile operating systems like Apple's iOS and Google's Android). We're talking about the use of a pointing device (conventionally, a mouse), a fully bit-mapped screen, and visual devices like desktops, icons, pull-down menus, overlapping program windows, etc. But Jobs didn't invent these ideas and they didn't originate with the Macintosh. In fact, as we'll see, the Mac wasn't even the first Apple computer to use them! But the concepts didn't originate with Apple or Jobs, nor were they first brought to market by them. Credit goes to Xerox. Yes, the copier and laser-printer people. In the late 1970s, the Xerox Palo Alto Research Center (PARC) was a major incubator of new ideas in computing. Ethernet, the foundation of most modern wired computer networks, was developed there during this same time period (and in fact, the Star came equipped with it, another innovation to its credit). Around this time, they produced the Xerox Alto, a workstation that pioneered the whole GUI concept. Though about 1500 were built for internal use and for distribution to government and university labs, it wasn't a commercial product. That honor went to the Xerox Star (AKA the Xerox 8010 Information System). Now, at $16,000, the Star was hardly a personal computer. And it wasn't even intended to work as a stand-alone system. Ideally an installation would have several workstations, a server, and a printer, running at least $50,000 - $100,000. But I include it on the list because it's directly responsible for everything that came after it. Xerox didn't really know how to market the Star, wasn't much interested in the computer business, and perhaps because of its high price and lackluster marketing, it was not a huge success. The company was distracted by anti-trust actions and the success of its laser printer and copier products. As I said, the GUI at Apple didn't start with the introduction of the 1984 introduction of the Macintosh. But if Xerox originated it, how did it end up at Apple at all? Here's where Steve Jobs does take a role. He was one of several outsiders given a tour of Xerox's PARC in 1979. Among the things he was shown was the GUI interface, and he came away excited about the possibilities, many of which were incorporated into the Lisa. The Lisa was, without doubt, a computer ahead of its time. It was powered by a 32-bit Motorola 68000 processor, and a large amount (for the time) of memory. It had a fully bit-mapped display, a mouse, and an interface that would look familiar to most modern computer users. It's memory, file system, and some technical aspects of its operating system were in many ways more advanced than the Macintosh models that immediately followed it. And unlike the early Macs, it was expandable and upgradable, with internal card slots and an interface for an external (and later internal) hard drive. But the computer was not a success. It was hampered by its lack of compatibility with the "business standard" IBM PC, it's unproven design, and most especially by it's high (initially, nearly $10,000) price tag. And despite impressive hardware for the time, the demands of the Lisa's complex software and operating system slowed the machine to a crawl, making it seem sluggish and slow. The product went through several design revisions and serious price cuts during its three years of existence, but it never took off. Steve Jobs had long since become enchanted with the Macintosh design (correctly) thinking that it had greater commercial potential, and had focused his efforts there. Some of the last Lisas were converted to run Macintosh software and sold as "Max XLs," and it's rumored that many simply ended up in landfills. But in introducing the GUI computer to the true personal computer marketplace, and to its eventual champion, Apple, the Lisa deserves to be recognized for its place in history. The Lisa was followed into the marketplace by the Macintosh, which immediately took the computer world by storm! Not. That's another myth. The Macintosh made a disappointing launch, and attracted plenty of lookers, but not so many buyers. While interest was high from the very beginning, the lack of compatibility turned away business buyers, and the price (about $2000, later raised, a rarity in the computer business, to about $2500) was too high for otherwise interested home buyers, and some were turned off by its small, monochrome, screen. 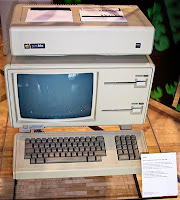 But the computer found niche markets (especially desktop publishing and the educational market), Apple did well with the LaserWriter printer (many of which ended up attached to IBM compatible computers or to mixed-computer networks), and Macintosh was given time to find its legs. But despite all its press that would lead you to believe otherwise, Apple has never been dominant in the computer industry, rarely having over 10% of the market during the Macintosh era, and briefly peaking at about about 16% of the market with the Apple II. It's currently at just under 13%, which may be a Macintosh era high, still leaving it the number three computer company. Unit sales and profits, of course, are two different things, and Apple has done well for itself. That doesn't make it dominant in the industry though (the iPod was probably their first truly market-dominating product, and Apple looks to be a strong, possibly dominant player in the post-PC era). But Apple popularized such concepts as GUIs, desktop-publishing, and networks, and provided a steadfast alternative that helped keep Microsoft competitive and prevented their having a monopoly position. In these accomplishments Apple's place in personal computer history is assured. It just isn't quite the place that a lot of people seem to believe. Right on! I'm glad to see I wasn't the only one shocked by the ignorance of the press when talking about computer history. 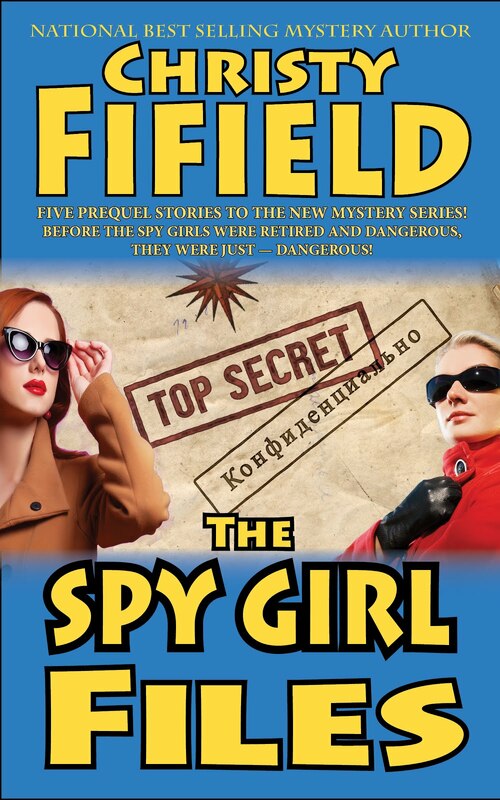 The least these "journalists" could have done is flip through a few late-70's/early-80's BYTE Magazines.